Ford has revealed more information about its all-new small people carrier, the B-Max. Based on the same platform as the Fiesta, the big news from Ford is regarding the rear sliding doors. These have the B-pillar integrated into them, to make rear access much easier. It’s a system that the company has been working on for some time, and only now is it able to apply it to a production car without compromising safety, weight or running costs. The major advantage, according to the brand, is not so much the added space either side of the pillar, but the fact it isn’t in the way. Typically, the B-pillar blocks your entry and access to the rear seats. In fact, in the Ford B-Max, the first obstruction comes from the front seat, which can be dropped fully flat to make it easier to get in back. 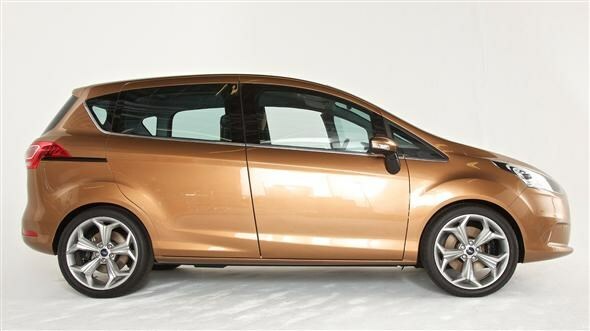 This isn’t just a case of copying the sliding doors that Ford already has on the S-Max and C-Max. In fact the company claims that throughout the process of making the B-Max it was working towards matching customer preferences. The manufacturer says it created models with all kinds of different door layouts, including the rear-hinged ones found on the Vauxhall Meriva, to find the system most popular with potential customers. Of course, the absence of a B-Pillar cause issues with rigidity and strength. Ford says, however, that through doing its own testing that it expects the car to get a full five star safety rating from the folk at Euro NCAP. This has been achieved by strengthening other areas of the car. The main engine in the B-Max will be the new 1.0-litre EcoBoost, recently introduced on the Focus range. The B-Max will get a 119bhp version of this, which will emit 114g/km. That means it will cost just £30 a year to tax. The rival 1.4-litre Meriva, which emits 143g/km, will cost you £135 per year. 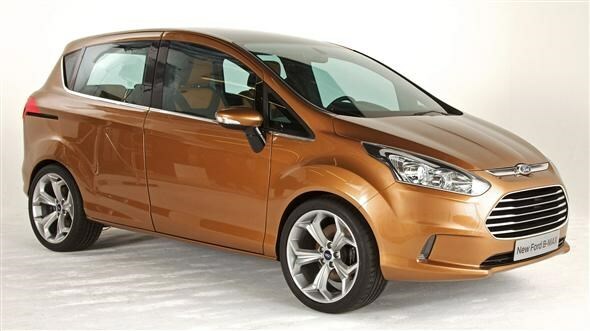 At the same time fuel economy is a claimed 57mpg for the Ford, and 46mpg for the Meriva. 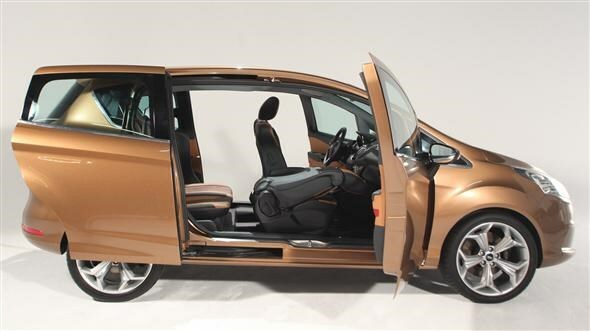 In full five-seat form the B-Max has a potential load space of 326 litres, which is 71 litres less than the Meriva. Drop the rear seats and this expands to a useful 1,293 litres. The Vauxhall tops this again though, with a potential 1,496 litres. Details of prices and specifications will be announced in March, when the full production version of the car gets its premiere at the Geneva Motor Show.